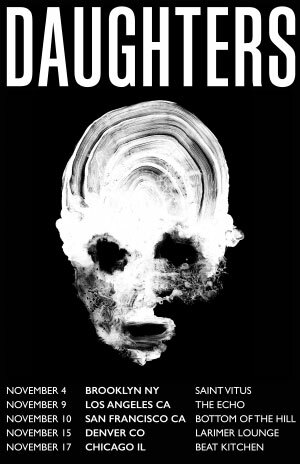 Daughters, “the art-grind-turned-noise-rock mavens” (Decibel), have signed with Ipecac Recordings, sharing new song “Satan in the Wait” (http://smarturl.it/SatanInTheWait) from an as-of-yet unannounced, but planned, 2018 release. Along with news of the band’s signing to Ipecac and the release of their first new song since 2010’s self-titled album, Daughters have announced a five-date trek for the fall, with stops in Brooklyn, Los Angeles, San Francisco, Denver and Chicago. Tickets for the shows are on sale now.